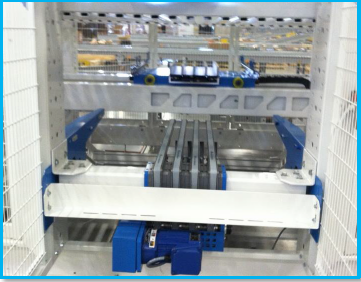 If your warehouse or distribution center processes an extremely high number of product or part SKUs, then a vertical lift sequencer (VLS) can provide the speed, efficiency accuracy it needs. Find new and used vertical lift equipment with us today. img001Automation of case and tote handling comes in many shapes and sizes. Solutions can be driven by order picking or sequencing requirements – or by imbalances in general material flows within a distribution system. A VLS (such as the System Logistics Vertical Lift Sequencer) is a unique approach to handling these scenarios. This innovative materials handling solution for split-case picking technology was designed to quickly, efficiently and accurately create mixed-SKU, store-ready pallets and be a viable solution to buffering problems in distribution centers. What’s more, a VLS can be used as a single machine to vertically store totes and boxes, or as part of larger VLS systems to enable fast palletizing and depalletizing operations. 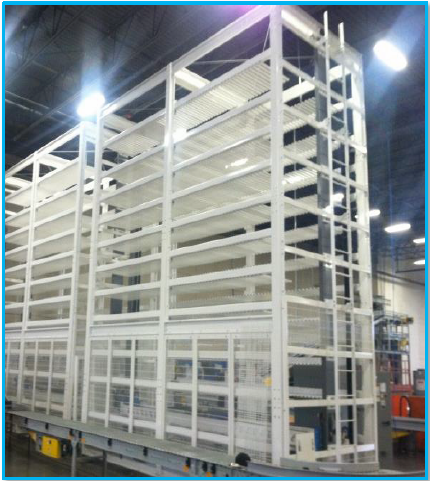 VLS vertical lift systems are used in warehouses and distribution centers to act as buffer between production in-take and order fulfillment. Using buffer sequencers, the VLS automatically separates fast-moving SKUs from packages intended for palletizing stations to enable the most-efficient split-case picking. Much like the Mini-Load AS/RS system, VLS units are most commonly used in remote picking applications. However, the VLS does serve a different purpose in comparison. In remote picking applications, the VLS is commonly used to store items required for orders more frequently and can offer improved picking rates. In these applications, source totes are stored within the VLS system and brought down to the operators working at order fulfillment stations. As these source totes or cartons are required for an order they are automatically extracted from within the VLS units and are then brought down and conveyed to the operator picking stations.Once the required picks are made the totes or cartons are then conveyed back to the VLS units and stored until they are required again. img003A VLS is a single case, direct access, temporary storage device with a minimal footprint thanks to its vertical design. These vertical lift systems use lifting beam technology and a unique combination of a bottom handling extractor and cantilever finger storage to reliably handle a wide variety of totes, cartons and other unitized loads. VLS will most often be implemented in groups or “blocks” to achieve rate and storage capacity requirements. 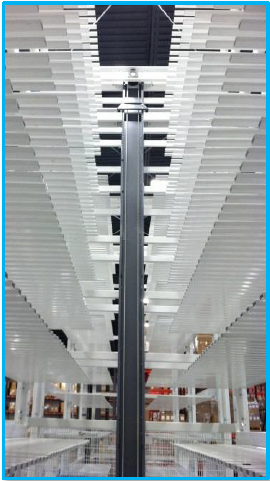 Each VLS block is managed by an automated conveyor delivery and take-away system.